For this project we designed a new type of urban cemetery on a parcel of land owned by The University of Texas at Austin–the site of the soon-to-be-decommissioned Lions Municipal Golf Course. Existing master plans leave scant green space in favor of dense urban fabric. Our design incorporates neighborhood and city planning into a reimagining of the long term value of the site socially, financially, and ecologically for UT and larger community. Several of our main challenges were: lack of urban cemetery space, hydrology, city densification, and loss of green and historical place. These helped us mold new opportunities for the site. Traditional practices, including embalming, can be very ecologically damaging. 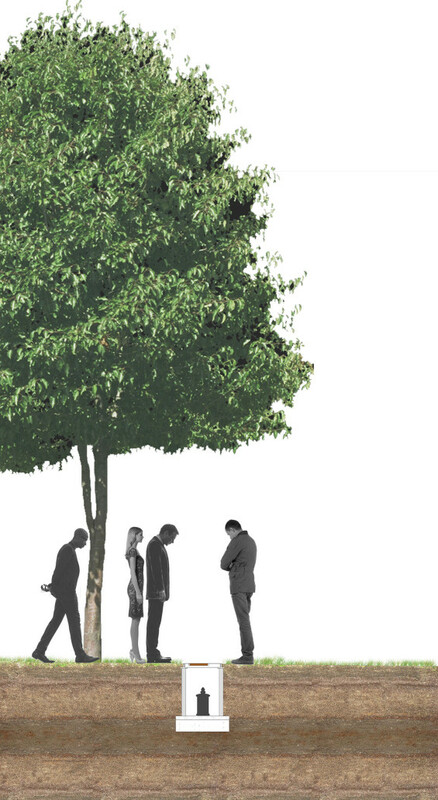 Our cemetery proposal utilizes only ashes for distinct disposition practices. 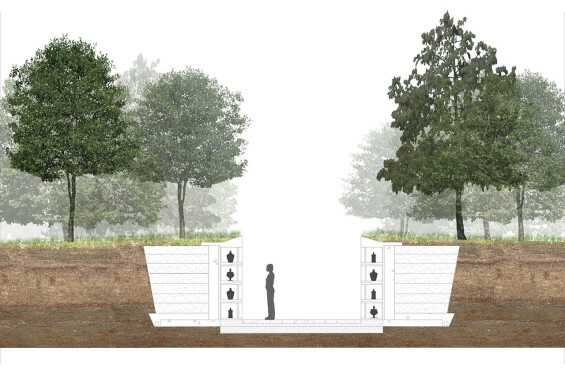 Composed of different disposition areas (The Woodland, Columbaria Walls, Bio Urns, and Wildflower Scattering Grounds) this adaptive landscape seeks to create marks with or without markers depending on the values, desires, and rituals of the users. 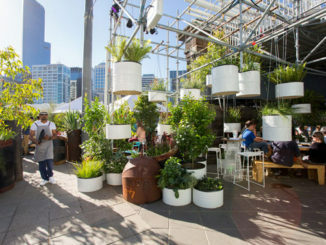 These ecologically sensitive methods of remembrance are intimately tied to maintaining and improving the services provided by this enormous, valuable green space. 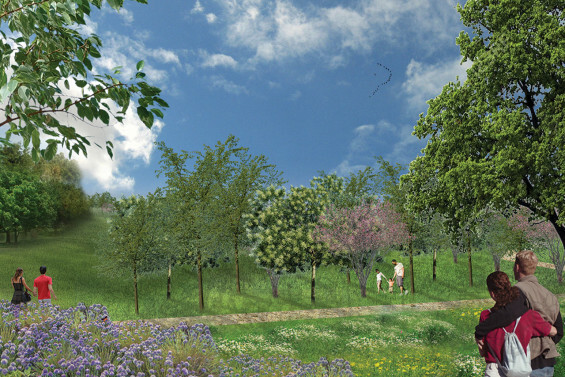 Preserving much of the existing topography and canopy, our design creates a gradient of more formal and intimate spaces for the bereaved on the northwest interior of the site (Crematorium) gradually changing into less formal, public areas to the east along the urban edge (Sculpture Garden). 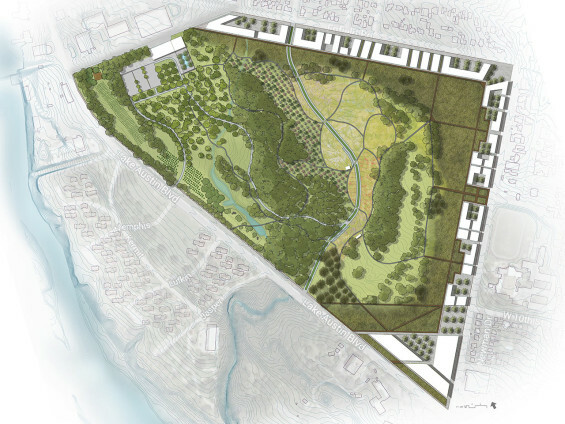 Integrating burial practices into the urban landscape, the proposal is a safe and accessible cemetery that preserves a historical green place for the Austin community. The surrounding Tarrytown neighborhood lacks sufficient commercial, multifamily, or restaurant assets. Coupling land uses creates amenities for new residences and the larger neighborhood. Our design integrates the need for an urban cemetery, ecological improvement, and social engagement to create a new town within a city.